Experience the Chesapeake difference! Chesapeake Vein Center and MedSpa prides itself on providing its Chesapeake, VA area patients with the safest and most effective high quality care available. The friendly service and medical expertise found at Chesapeake Vein Center and MedSpa are unparalleled thanks to Medical Director Dr. Surya Challa and his staff. They take all patient needs into consideration and work hard to create a comfortable and welcoming environment, so that your visit can feel less like a task, and more like a relaxing getaway. Other medical spas are often ‘overseen’ by a medical director, or may be simply ‘associated’ with a medical director; neither of these situations carries any guarantee that the medical director even practices out of that location. But Chesapeake Vein Center and MedSpa adheres to a higher standard of care. Dr. Challa has been treating Chesapeake area patients for the past ten years with excellent results. In the process, he has also helped many patients overcome lifestyle obstacles standing in their way. In fact, Dr. Challa is accredited by the Intersocietal Accreditation Commission (IAC) which allows him to perform vascular testing that can identify disease and other complications. The exceptional care at Chesapeake Vein Center and MedSpa doesn’t stop when you walk out our doors. The team is committed to offering clients post-treatment support for a happy and healthy future. For example, after CoolSculpting® treatments, patients receive individualized lifestyle, diet and exercise suggestions to help them achieve optimal results. Developed by merging best practices in surgical weight loss, nutrition, exercise and metabolism, this exclusive program is unique to Chesapeake Vein Center and MedSpa. At Chesapeake Vein Center and MedSpa you can be assured that all practices are safe, effective and tested. Dr. Challa rigorously reviews all medical protocols prior to application, allowing the same top of the line care you would find in a medical office. Schedule your consultation today and find out why other medical spas simply don’t compare to Chesapeake Vein Center and MedSpa! 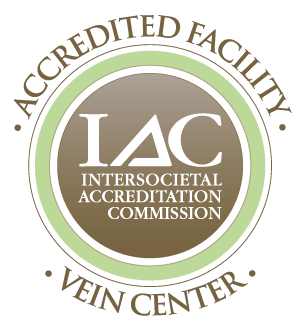 Chesapeake Vein Center and MedSpa’s Dr. Surya Challa is proud to be accredited by the Intersocietal Accreditation Commission (IAC). This allows Dr. Challa to conduct vascular testing that is essential in determining both diseases and various complications prior to performing any treatments.